Im just uploading the mod here so people can find it easily. Aliens TC by Justin Fisher, based on the movie Aliens, was the first total conversion for doom (infact the first total conversion for any game) and is one of the most famous. in the week following the release of Doom II, there was more discussion in the Doom newsgroups related to Aliens TC than Doom II. The popularity of the Aliens TC even reached outside the Doom community, for instance providing inspiration for the 1998 Dreamworks game Jurassic Park: Trespasser. Fisher was offered employment by various game developers (including Dreamworks for the team that would later make Trespasser), but declined in order to finish his university degree. 1* This mod was not made by me, it was made by this guy called Justin Fisher. 2* This mod only works with Ultimate Doom, and is compatible with GZDoom, Skulltag, Zandronum, and ZDoom. 3* It is recomended to play this alone (or with a friend online) in the dark with headphones on at high volume. Kontra Kommando, and Deimos Anomaly are organizing this mod sharing group, in an effort to create a centralized location to find Aliens-themed Doom mods. Ever since Justin Fisher created Aliens (TC) in 1995, many Aliens-themed mods were created for Doom. This group welcomes contributions from users to enlighten fans about Alien-themed Doom mods. Furthermore, moving forward with development of Aliens: Legacy, as well as another secret project. We have decided to form Acheron Productions. Kontra Kommando, Deimos Anomaly, in addition to the other various contributors, will operate in creating future Aliens-themed doom mods, under this name. Kontra Kommando Presents Aliens (TC) By Justin Fisher. 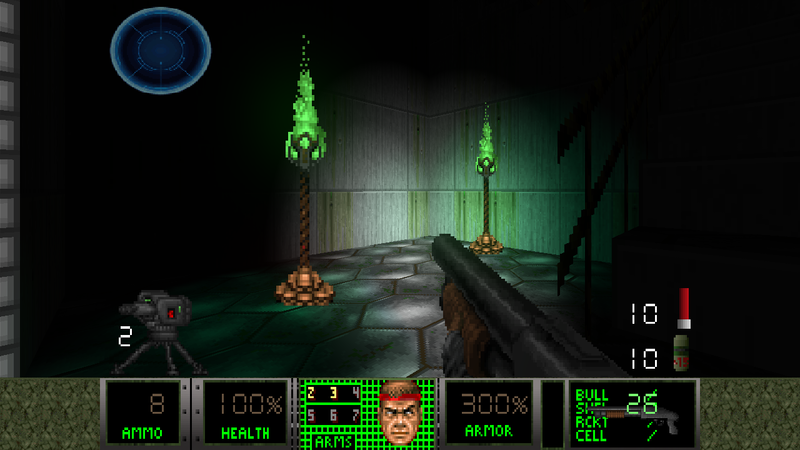 A remake of the classic 1994 Aliens-themed, Doom-mod. Needing something fresh to play over Easter? Why not dust off your 20 year old copy of DOOM! A Much better Organized Version of the Mod for Easy Install and with a Few Improvements and Adjustments. I have been trying for the last hour to get this to work properly. I tried dragging the folder on to the latest version of Gzdoom (2.3.2) and that didn't work. I got maps and music, but it was still mostly just Ultimate Doom assets (weapons, textures, HUD, etc.). Furthermore, hitting Q when it's like this gives me a scripting error, so something clearly isn't loading properly. I don't know what I'm doing wrong or how to even do it right. I wish I knew how to make a Zandronum compatible version. This would be amazing with friends. I may try and figure it out on my own. Seems the enemies work and for the most part it all works. The only issues I see is that the scripted xenomorphs aren't moving they are just stationary and the placement of certain object, wires hanging from ceiling and even the scripted xenomorphs, are too high or low. If these issues were fixed it seems like it would be perfectly playable. There are classes you can choose when you join, not sure if they change anything, this would be a solid multiplayer mod if the issues present were fixed. Wish Zandronum and GZDoom weren't so out of sync so modders can make amazing mods and people can play them SP with GZdoom or MP with Zandronum and not have to worry. All that said this is some amazing work. Keep it up. The aliens make me jump and I really feel a sense of panic. The weapons are really fun too. Keep it up and consider making it Zandronum compatible. Everything works well (xenomorphs, characters, music) except that the first level is the first level of Doom 2. I used the drag&drop; method. Last GZdoom version used. This mod is supposed to be used with the first Doom. It replaces episodes 2 & 3. Those are where you can find the mod's levels. Indeed, it works with Doom 1. Can't get this to work at all. Tried putting the files in the skin folder, doesn't work. Tried dragging all files onto gz/zandrom, doesn't work. It'll load up the stages and the general textures, but apart from that it's just Doom. No Xenos, just a bunch of pinkies. EDIT: oh wait never mind. I used the wrong files. Got it to work when I redownloaded the right ones from this page. i cant get special addition working. There had been an updated revision of this Mod made by Virtue called Aliens TC Special Edition. That version had modified the Power Loader weapon as a vehicle of sorts instead of merely a "Chainsaw" weapon animations and gameplay mechanics substitute. One of the best total conversions of its time and still has to find it's equal . . .